Vodacom on Tuesday hailed Minister of Communications Stella Ndabeni-Abrahams’ decision to withdraw the Electronic Communications Amendment Bill from the legislative process. The controversial bill had drawn both praise and criticism from various quarters, with advocates arguing the bill would help open up the market, allocate more spectrum, and drive down the cost of data. Critics, however, argued that the bill was potentially unconstitutional, and remove some of the incentive to invest and innovate in the telecommunications sector. In a statement, said the decision to withdraw the bill had been motivated by a need for further consultation with society and the communications sector. She also said it was unlikely that the bill would have been finalised within the remainder of the current term. 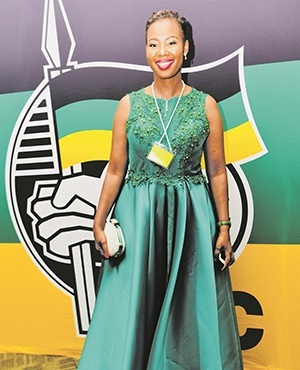 According to Ndabeni- Abrahams, the Ministry of Communications had been mandated to spearhead and lead the Fourth Industrial Revolution, working with other stakeholders both within and outside government. She said the details of legislation aimed at preparing for the fourth industrial revolution would be considered part of further consultations with stakeholders. "Expansion of the Ministry’s mandate and the reconfigured department has implications for policy and legislation as we are now required to think anew; of course building on the advances of the past 25 years of democratic regulation," said Ndabeni-Abrahams. "The Fourth Industrial Revolution is in our midst which calls for us to rethink our approach to everything we do, including the kind of institutions that will lead and enable the fourth industrial revolution," she added. The minister said preliminary engagements had started with interested parties and would continue in the near future. She said discussions would place emphasis on the need for active collaboration. In a separate statement, Vodacom Group CEO Shameel Joosub, said it was vital to ensure that South Africa did not lag in participating in the fourth industrial revolution. He said the private sector should play a role in developing new technologies such as 5G and the licensing thereof. "Vodacom welcomes the decision by Communications Minister, Stella Ndabeni-Abrahams, to withdraw the Electronic Communications Amendment Bill. "Vodacom is of the view that government’s objectives for the sector – in terms of increasing the affordability and reach of broadband and accelerating economic transformation - can be achieved within the current legislative framework," said Joosub. Joosub said Vodacom was encouraged that the ministry believed the private sector must play a greater role in the development of the telecommunications industry.